The unpleasantness cops deal with is never something they become accustomed to; they’re human. If they didn’t feel something when taking in a horrible scene, there would be something wrong. Though they can’t show their reactions physically, they’re still affected by seeing the lowest and cruelest acts humanity can commit on itself and animals. 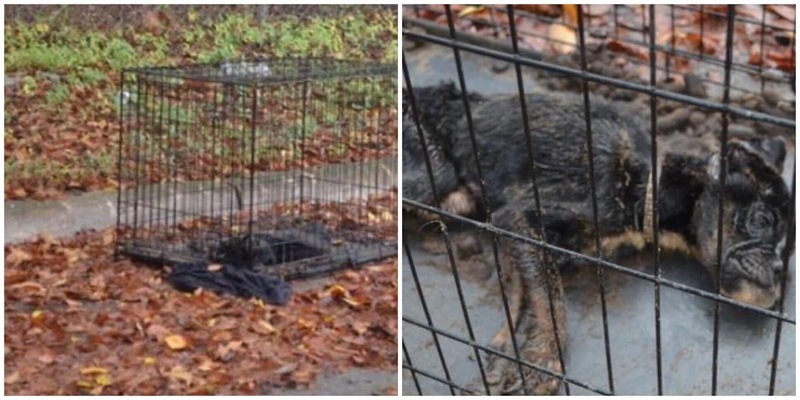 The Austin, Texas PD’s Animal cruelty division came across a crate that was left on the shoulder of a busy road. They’d received a call alerting them to the dead dog inside. As upsetting as this case would be, the responding officers still had a job to do. The scene was at a busy intersection in downtown Austin. The cops knew they had to respond quickly. They didn’t want any innocent bystanders to see the horrific state of the scene. Heck, none of them wanted to approach the metal crate. They had no choice. Not even these seasoned professionals were prepared for what they found. Inside was a young emaciated female puppy. Around the matted fur of her neck was a rhinestone collar, which told them perhaps she had once been well-loved and cared for. That wasn’t the case now. 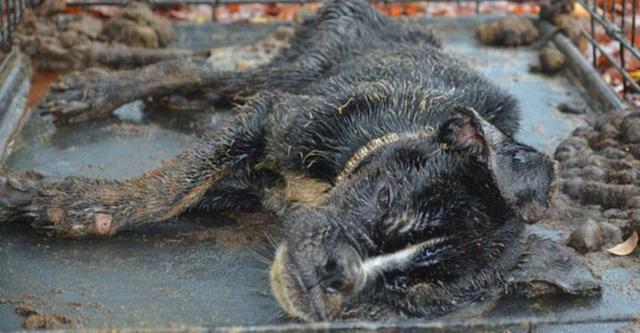 She lay still atop a bed of feces, urine, and rainwater. It was evident she’d been in this condition for some time. Such a tragic end to what could’ve been a wonderful life. At first glance, things may appear worse than they truly are. 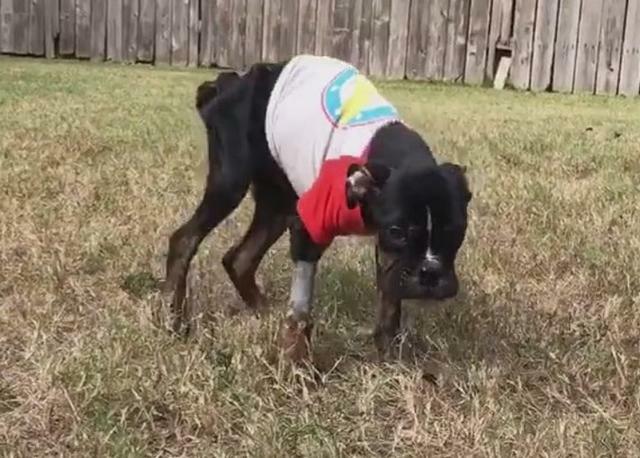 sadly, Officer Eva Wagner was forced to peer down at the poor starved pup. She was a sorry, sad sight with her protruding bones and filthy fur. Then as if she were seeing things, Eva noticed the puppy’s tiny ribcage move up and down. She was alive, but barely. Sophie, as she was later named, needed help fast! With her life in the balance, the officers rushed her to the Austin center for Emergency for immediate treatment. Veterinary technician, Elizabeth Mancera received the 9-pound baby girl. 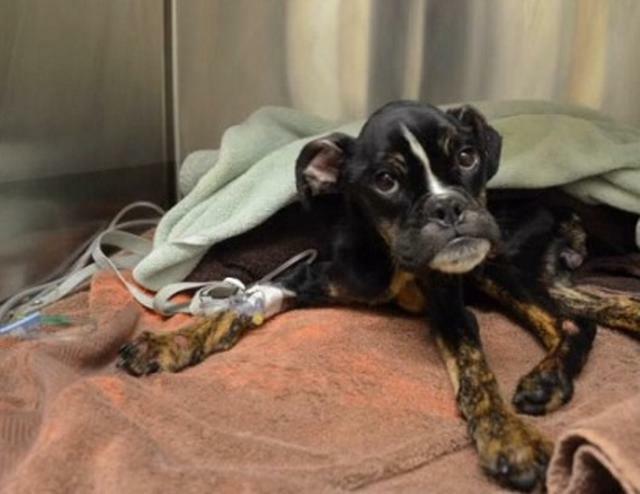 Despite Sophie’s miserable condition, she worked to bring her back from the brink of death. 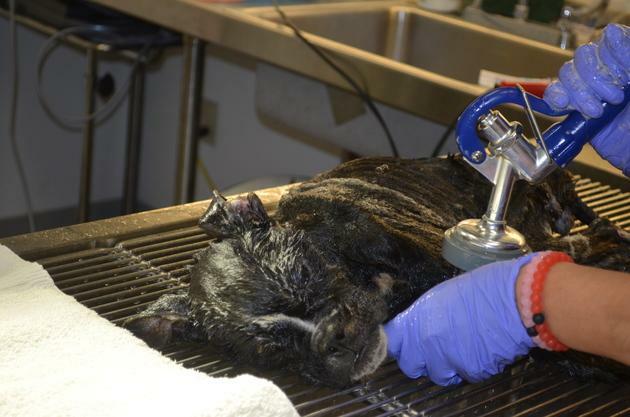 She needed a catheter; a gentle bath rid Sophie of the yuck and waste on her body. For two hours, the frozen gal was then given a hot air bath with a hairdryer. This helped keep her body temperature up. When she arrived at the clinic, her core temperature didn’t register on the thermometer. 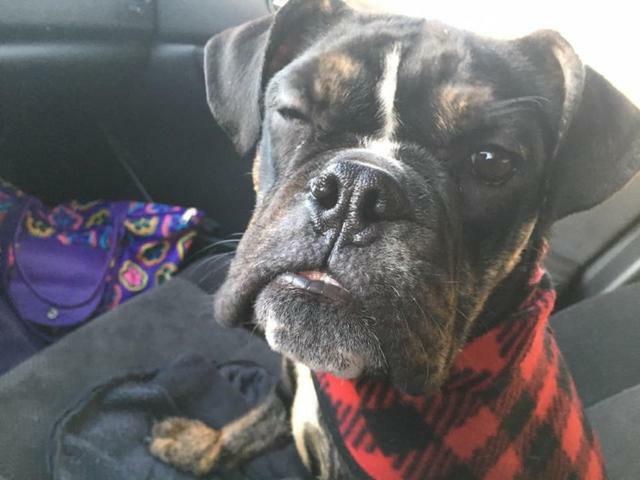 Sophie, a 1-year-old boxer melted the vet tech’s heart. All her pain and fear were written in her huge lovely eyes. She was begging to be saved. But she didn’t have to worry anymore. She was already on the road to a better life. Elizabeth knows the importance of making an animal feel they’re loved. It’s helpful for them to hear a voice offering comfort, assurance, and security. Elizabeth was permitted to foster the sick boxer. Sophie needed round-the-clock care. The vet tech was determined to get her healthy again. The pooch required a doggie diaper because she couldn’t stand or walk on her own. She never left Sophie’s side. In a month, the dog gained a right amount of weight. The lovely gal with the chubby cheeks started walking. And bonus…Elizabeth adopted her. 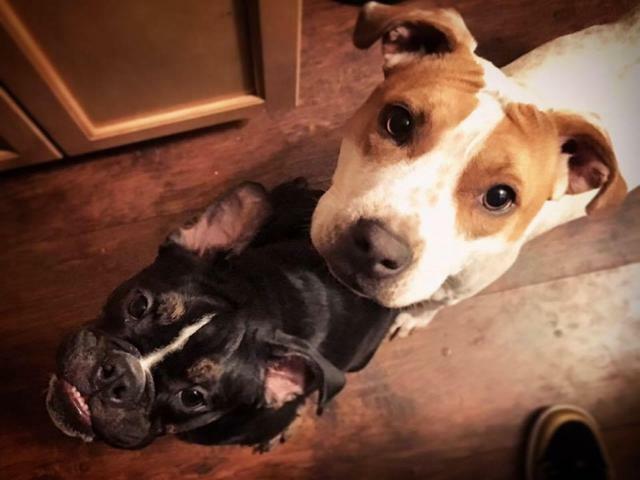 Sophie now has a doggie BFF; she has an extended human family to play with and receive cuddles. 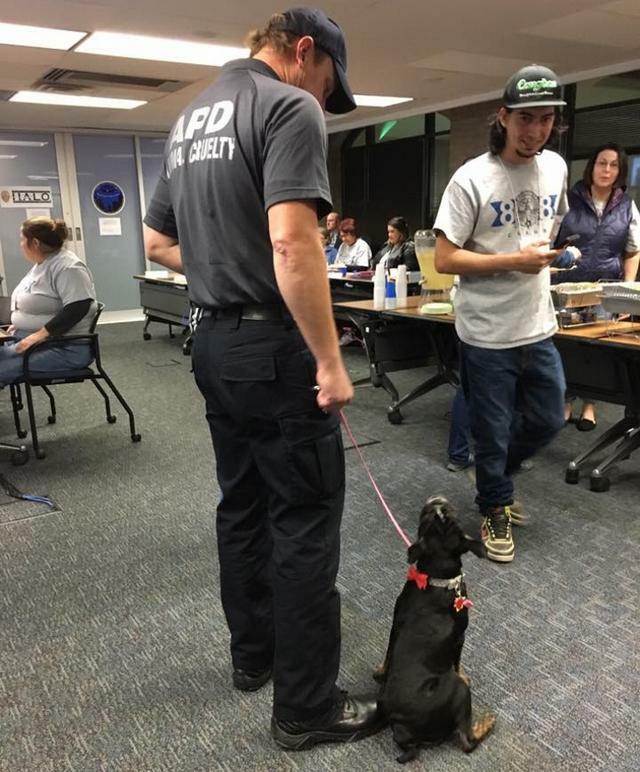 She even has a job as the Austin PD’s animal Cruelty division mascot. She’s a lucky pup who just wants to help the folks who saved her life. She especially loves it when the bad guys are caught. Not to mention the perks that come with her position. Who wouldn’t love all the pats and cuddles? Oh, and field trips. Sophie’s living the high-life now surrounded by all the love a gal can handle. Not bad for a dog who was once thought dead.